The Seppanen family has long enjoyed traveling and visiting small family wineries. Those travels have taken us to wineries from Florida to Washington and Maine to California, as well as Germany, Hungary, Slovenia, Austria, Poland, Quebec, Australia, and New Zealand. In particular we have visited many Midwest wineries in Minnesota, Wisconsin, Illinois, Iowa, Michigan, and Nebraska. In March 2013 we joined a group from Washington state for a two week trip visiting 27 wineries in northern Italy. Come see our pictures and enjoy our new stories. We have since travel with the group to France, Sicily, and Portugal. We started growing grapes about 25 years ago by ordering four varieties from a seed catalog. 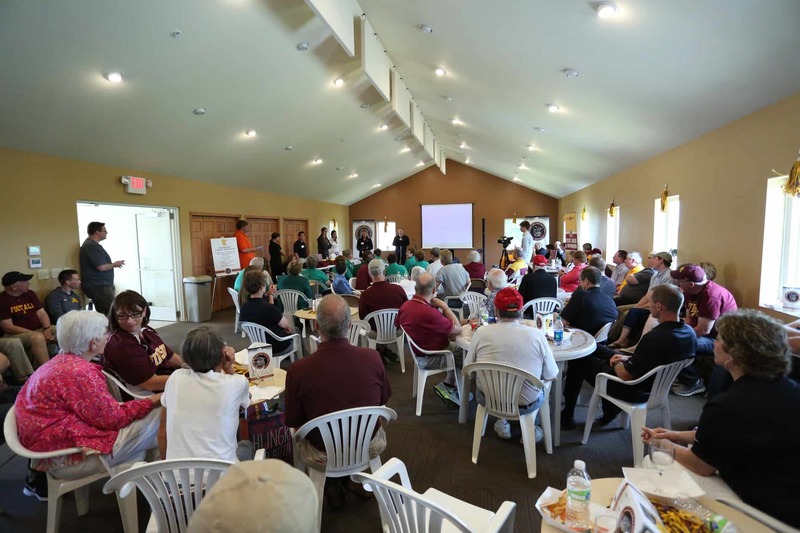 In time we joined the Minnesota Grape Growers Association and learned of the many other grape varieties suited to our climate. Over the years additional grapes were planted and new vineyards started. We started the winery building process in 2006 by forming an S corporation, surveying a potential site, and developing a layout for a 28’ x 48’ two level winery building. In August 2006 the federal government granted a bonded winery license using the existing wine making facility in the converted sheep barn. In October 2006 construction was starting on the winery building. The winery design evokes the image a Finnish lake side cabin but includes a modern sales and event area on the main floor for both wines and accessories and the bonded winery on the lower level. The winery building has been designed to take advantage of a seven mile view over the hills and valleys of the drift less region of southeast Minnesota. The building is fully handicap accessible and equipped with a catering kitchen to support groups of up to 56 people. We are also providing space for outdoor events such as vineyard tours, concerts, and weddings. 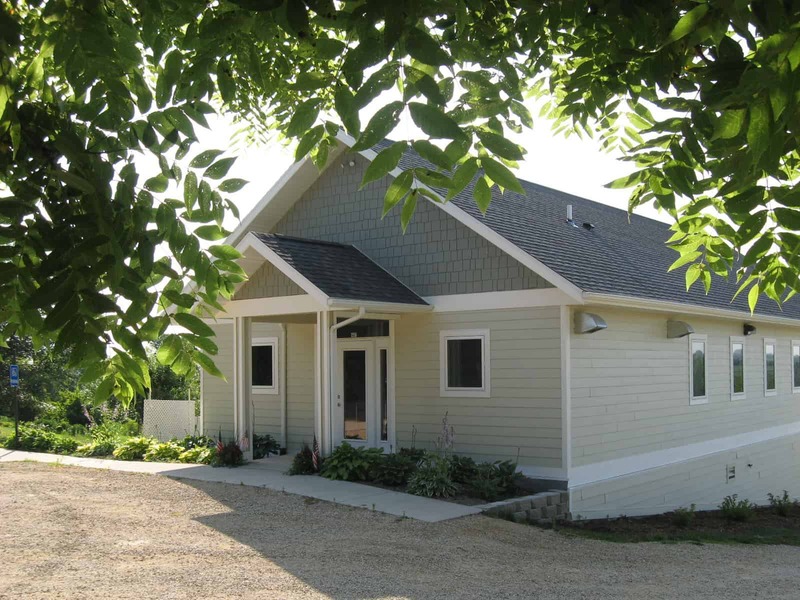 Final approval for a Minnesota Farm Winery and the building occupancy were obtained in June 2007 and the winery opened with a dedication ceremony on June 17, 2007 and grand opening on mid-summers eve June 21, 2007. Our Ridgeview Event Center opened in 2015 with seating for 100 it is sure to be a great place for meetings, family gatherings, or weddings. The Great River Road Wine Trail links 12 wineries in southeast Minnesota, western Wisconsin, and northeast Iowa along the “Great River Road”. We look forward to your visiting the many wineries in the Mississippi River blufflands.